Good. 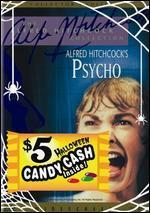 687797125897 (DVD 1-5) Item includes case and original artwork/insert. Please Note: Pictures may be catalog/stock photos and NOT an actual picture of the actual item being sold. If you are looking for a particular cover art or edition, please ask BEFORE buying. Typical transit time for standard media mail is 7-10 business days. 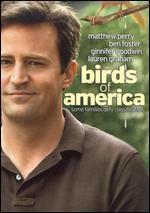 Matthew Perry, Hilary Swank, Lauren Graham, Ben Foster, Ginnifer Goodwin, Zoe Kravitz. Good. 2008 Run time: 85. 100% of this purchase will support literacy programs through a nonprofit organization! Matthew Perry, Hilary Swank, Lauren Graham, Ben Foster, Ginnifer Goodwin. Very good. 2007 Run time: 85. Buy with confidence-Satisfaction Guaranteed! Delivery Confirmation included for all orders in the US. Zoe Kravitz, Ginnifer Goodwin, Ben Foster, Lauren Graham, Hilary Swank, Matthew Perry. Good. 2008 Run time: 85. Connecting viewers with great movies since 1972. All used discs are inspected and guaranteed. Used discs may not include digital copies. Customer service is our top priority! Zoe Kravitz, Ginnifer Goodwin, Ben Foster, Lauren Graham, Hilary Swank, Matthew Perry. Fine. 2008 Run time: 85. Ships Same or Next business day from NJ, USA with Tracking. Artwork, case and disc(s) in like new condition; 30-Day Satisfaction Guarantee. Good. Former rental copy. Video-DVD. Disk shows signs of wear but should play fine. If not, we will refund. Stored in sealed plastic protection. 2008. Video-DVD.